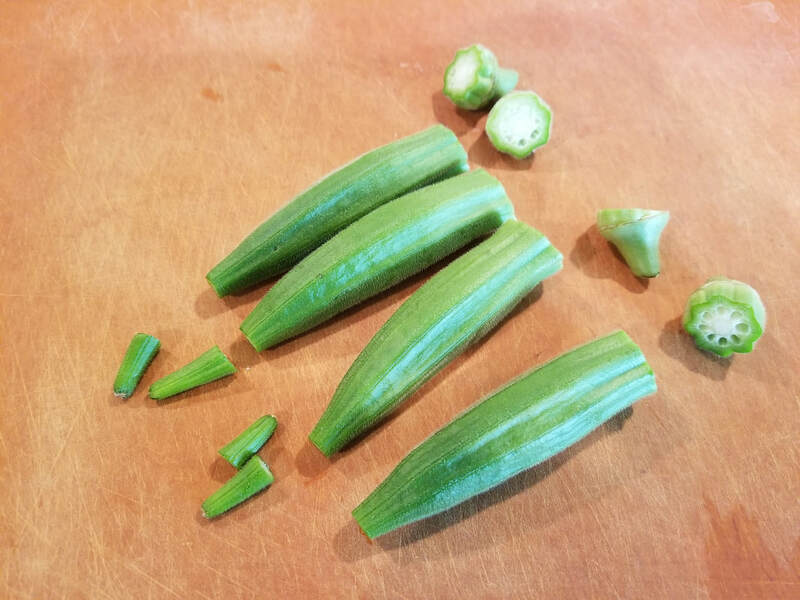 I really wasn't much a fan of okra when I was a kid. I couldn't stand the softness and sliminess when my mom cooked it as part of a stew. My dad of course loved the slimy stuff whereas I found it weird. 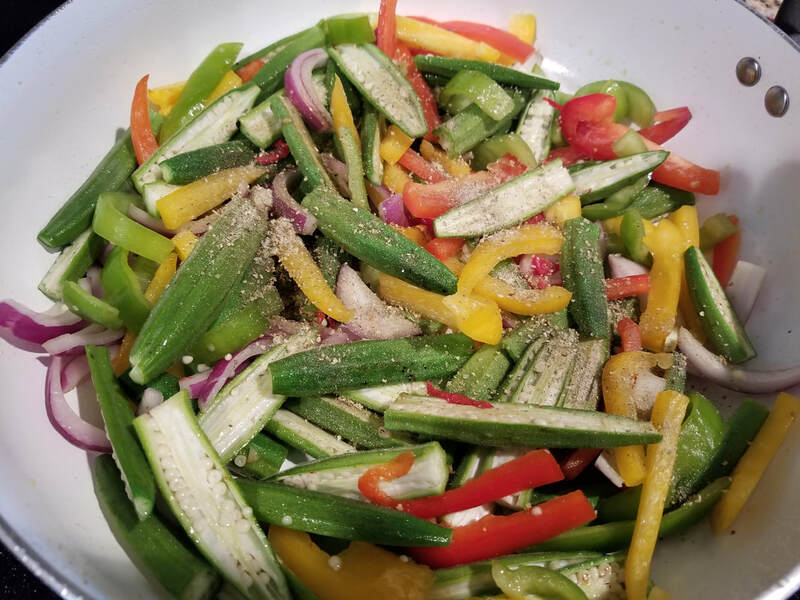 It wasn't until I was in St. Kitts for medical school where my roommate introduced me to a different way of making okra that totally changed my perspective on the matter. It wasn't slimy! It was crisp, crunchy, and delicious! I've never in my life had okra that way and I loved it. 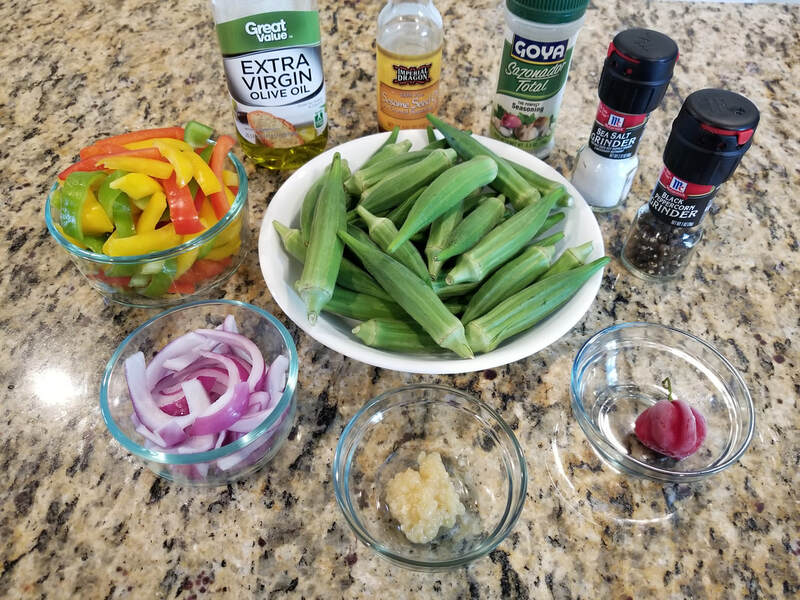 Thanks to that one dish she introduced me too, I've enjoyed okra ever since. Thanks April! 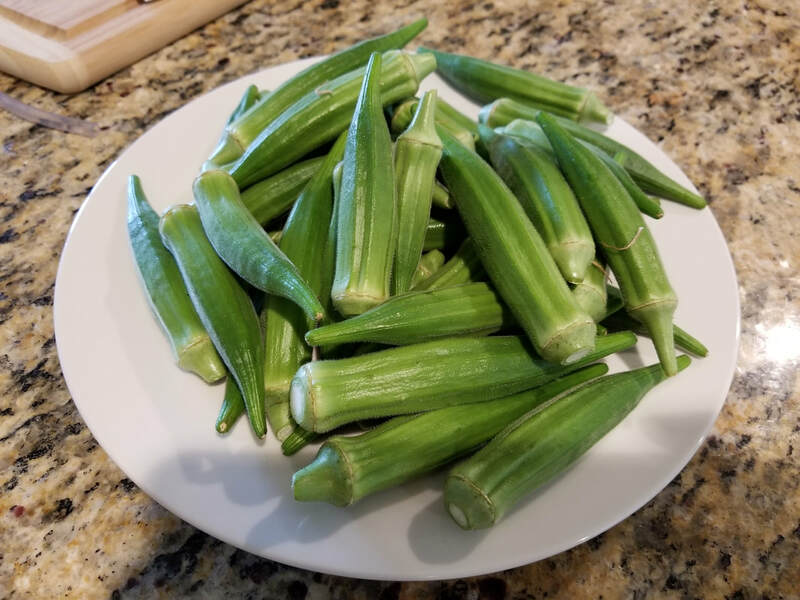 During my time on the island, I had several Nigerian friends who also introduced me to okra draw soup with pounded yams. Now this is the extremely slimy stuff but I must say, I loved it too. 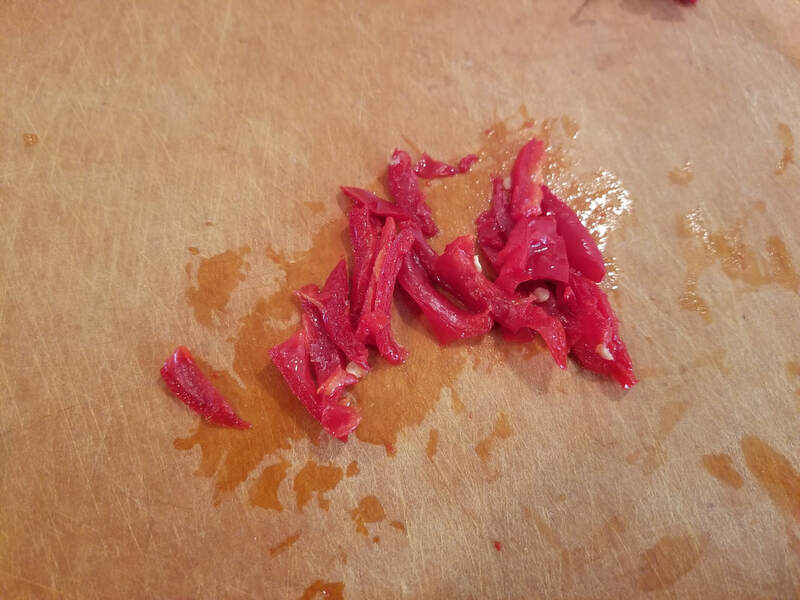 Then I found out my husband loves the stuff with goat meat because he grew up on it (his step mother was Nigerian) and I learned to make it. The "slimy" version I plan on sharing with you soon and when that becomes available, you can find it "here". As far as the crisp, crunchy version, I've tried several variations of what my friend originally showed me until I came up with this recipe. 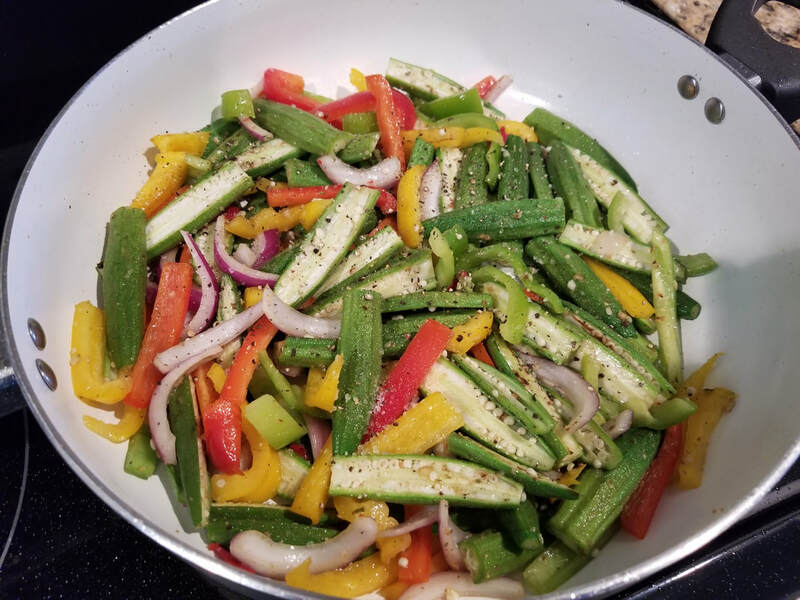 If you're not a fan of okra just because it's slimy, try it this way and let me know if it changes your mind. Okra is very healthy and full of vitamins. In the Haitian culture, they say it's even best when you're pregnant because it helps the baby "slide out" during labor. I have no idea how true that is but hey, you never know. 1. 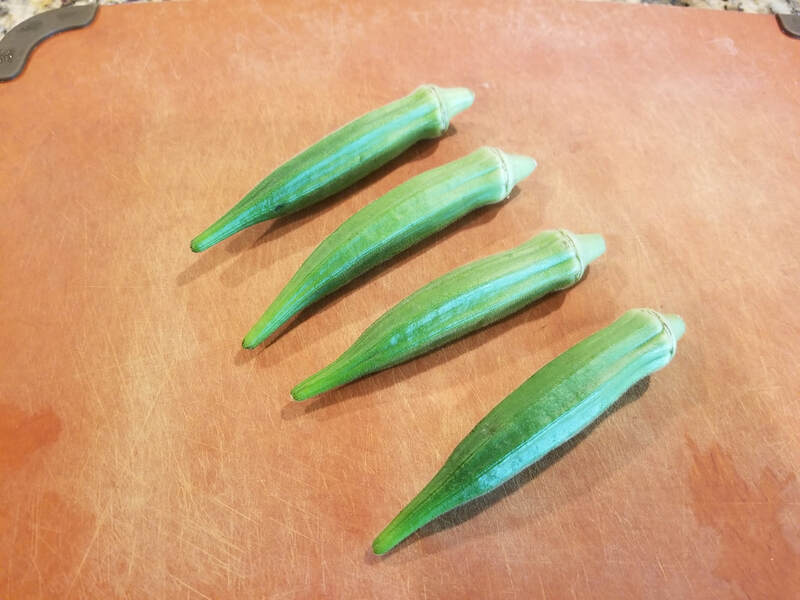 The important thing is having fresh okra. Make sure that they are rinsed well then dried. 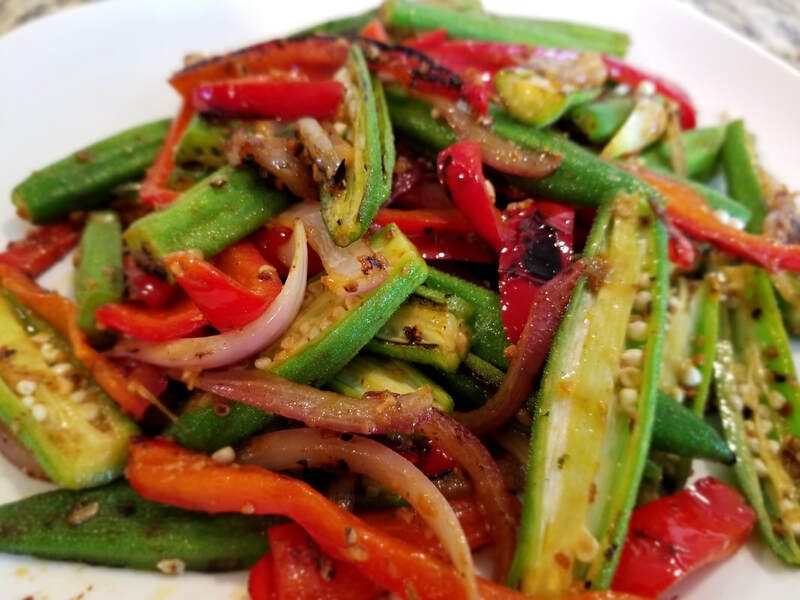 Try to avoid using wet okra for this dish. The increased moisture will contribute to the sliminess. This dish cooks quickly in a matter of minutes. So after rinsing, either towel blot them dry with a kitchen towel / paper towel or let them air dry completely. 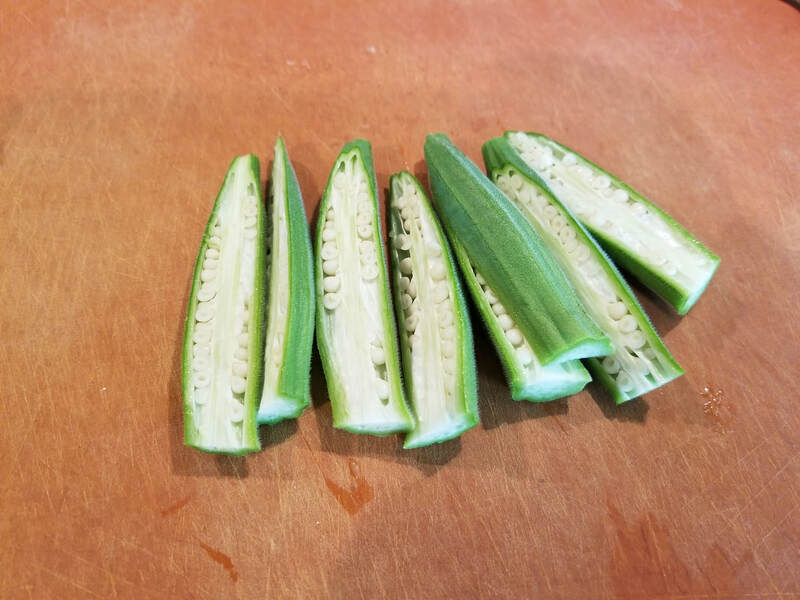 Cut both ends of the okra, then slice each okra in half lengthwise. 2. 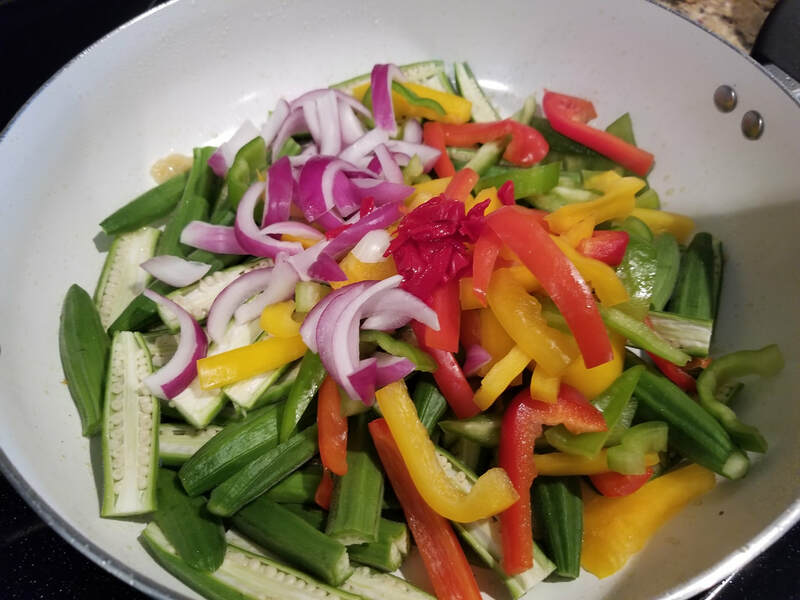 Prepare your other vegetables: 1/2 cup of sliced onions (color of your choice), 1 cup of sliced bell peppers (colors of your choice). Set your vegetables aside. 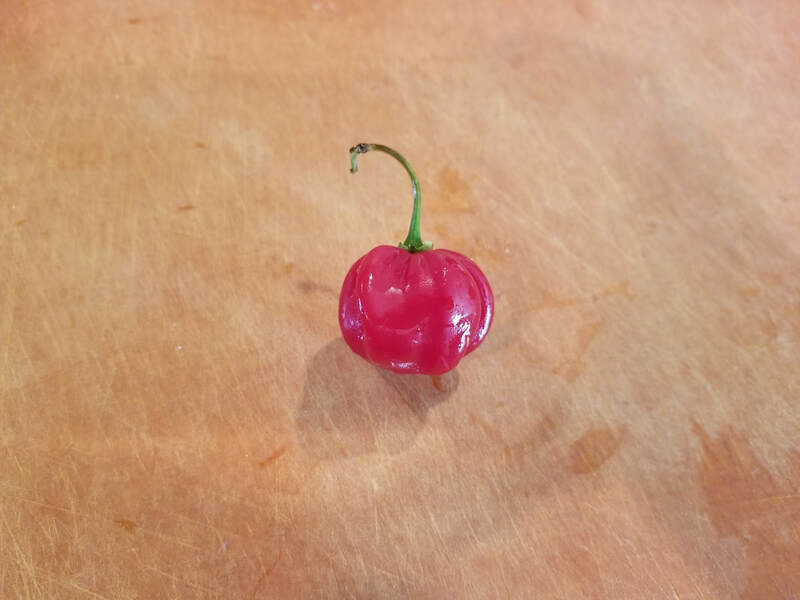 Optional: slice up 1 small hot pepper of your choosing. You may remove the seeds if desired to avoid intense heat. 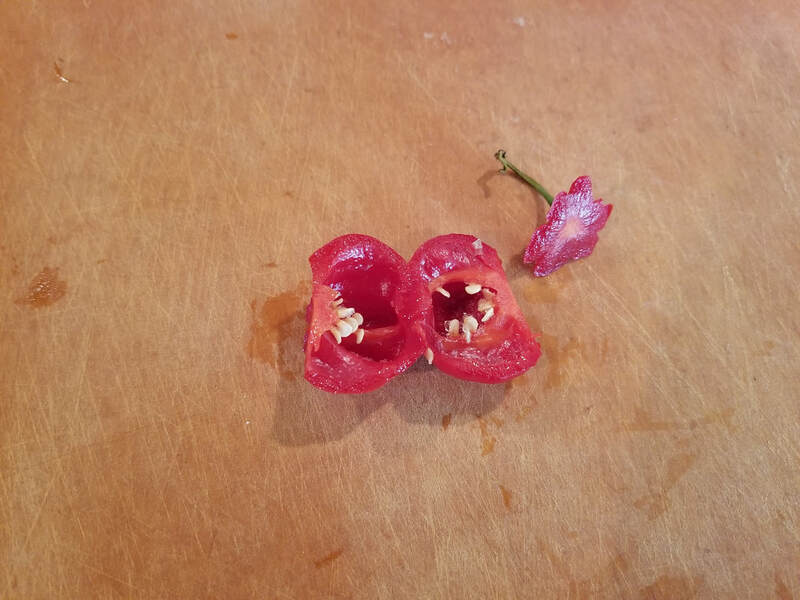 As a side note, I usually freeze my hot peppers if I know I won't be using them right away since they tend to spoil quickly. I recommend using fresh but I used one I had in the freezer, hence why it looks slightly mushy/wet in the images below. 3. 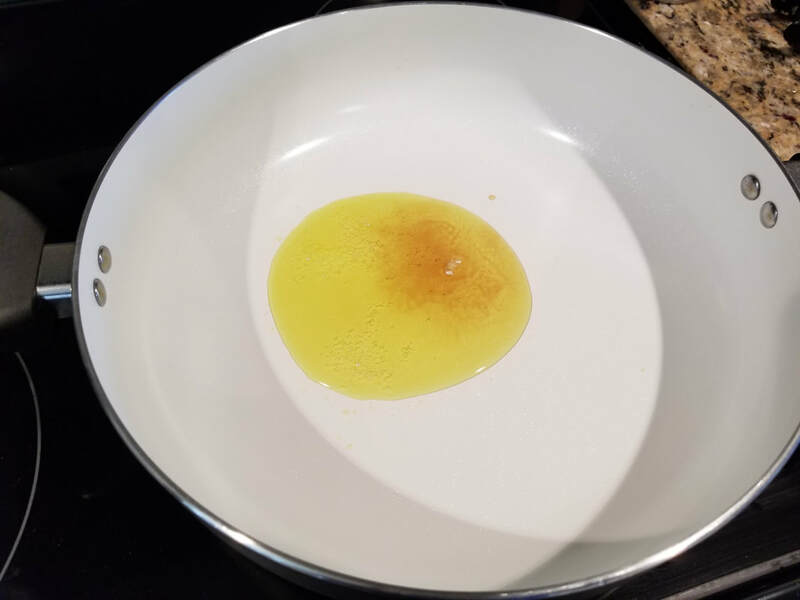 In a large pan, add 2 tbsps. of virgin olive oil, 1 tsp. 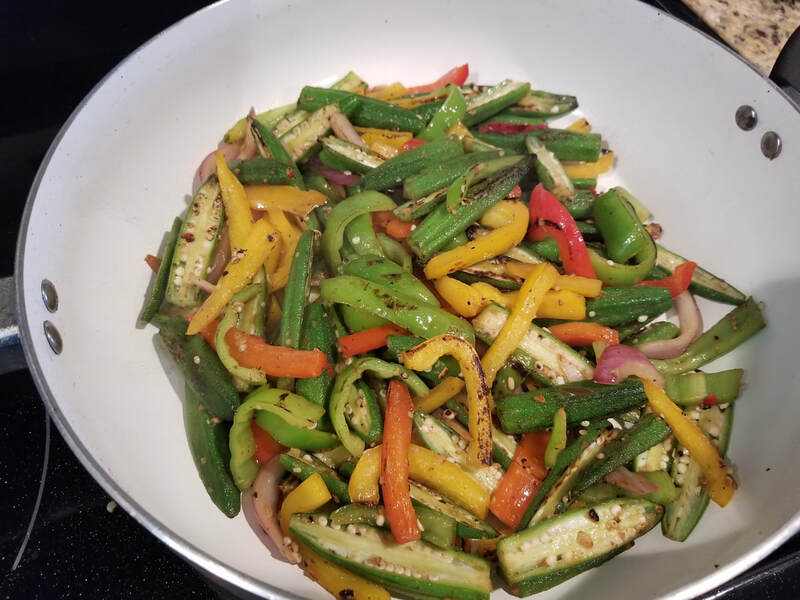 of sesame seed oil, and bring up to medium-high heat. You can actually make-do without the sesame seed oil but I find that it adds a nice nutty hint of flavor. 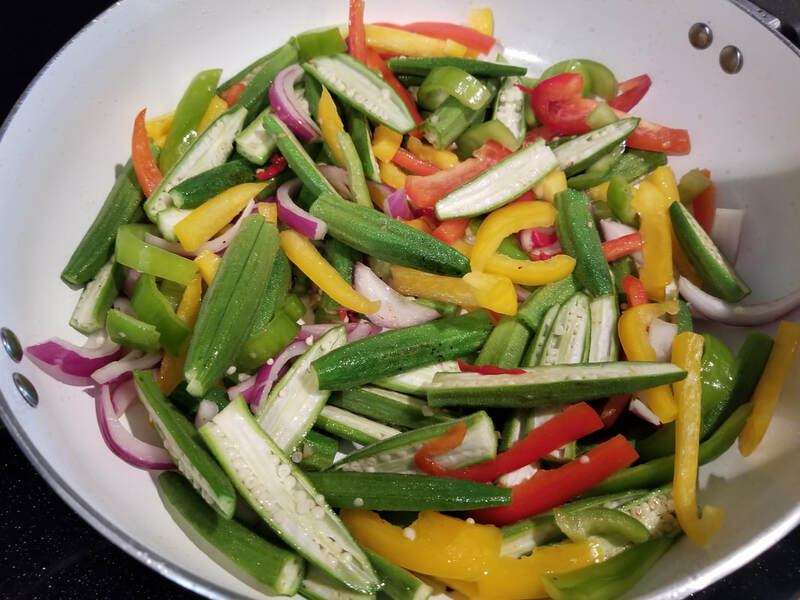 The moment it starts to smoke, add in the vegetables immediately starting off with the minced garlic (briefly stir it in the oil), then the okra, sliced onions, sliced bell peppers, and the optional hot pepper. Work fast and be quite careful as the garlic will splatter on contact. 4. Mix the ingredients swiftly then add in all your spices: 1 tsp. Goya Sazonador Total, sea salt to taste, fresh ground black pepper to taste. I do have to mention that the Goya seasoning is the special star of this dish. A must have ingredient. 5. 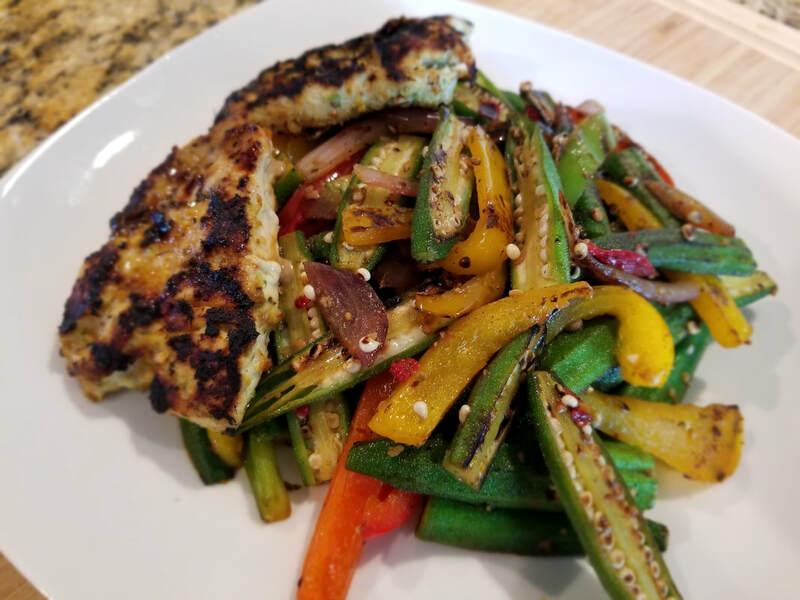 Continue to stir frequently to well incorporate the spices as the vegetables "pan sear". Cook it for about 3 minutes, definitely no more than 5 as you stir frequently. They will retain a wonderful crunch as the vegetables develop a lovely crisp, deep color. Do you prefer your okra slimy or crunchy? What would you accompany this dish with?